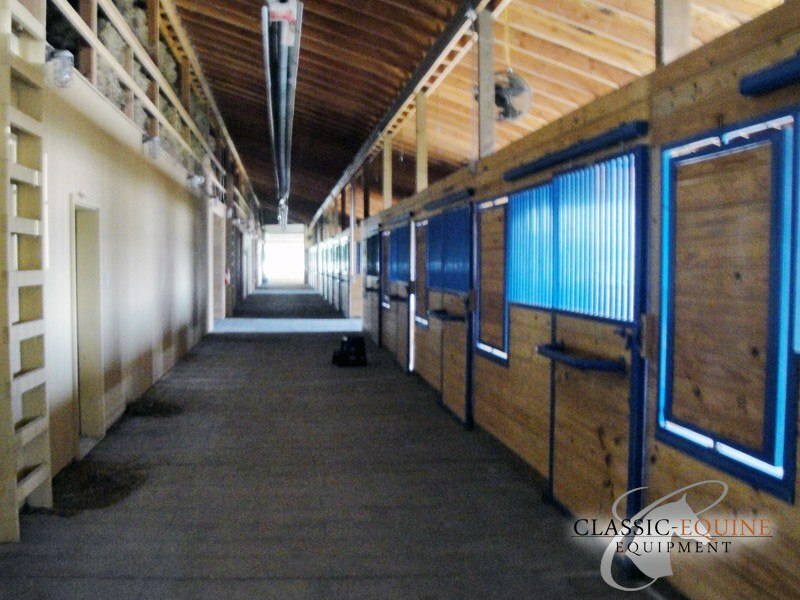 Project Details: Bayside Equestrian Center is a state of the art equestrian facility in the state of Michigan. They are also a premier boarding facility that prides themselves on taking top notch care of their horses. 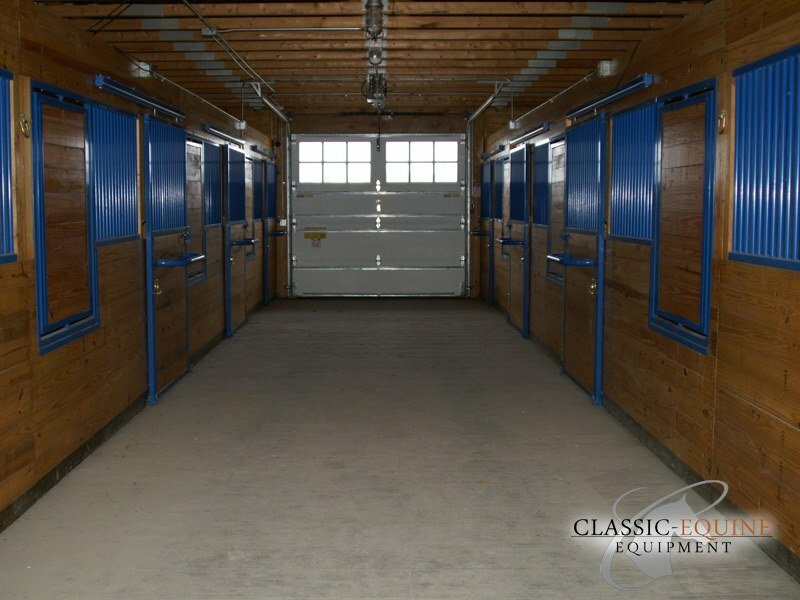 That is why Classic Equine Equipment was choosen the stalling and exterior equipment provider. We pride ourselves on a safety first mentality, both for the horse and those taking care of the horse. Product Specs: The post and beam style barn was a perfect fit for our Integrity Series stall design. Bayside had a custom color spec that Classic Equine matched to tie everything together. For ease of the horse caretakers, a swivel hay and grain feeder was incorporated in the front to allow feeding from the exterior of the stall. This is also a nice feature as the feeder can be locked to the aisle side if a horse is hard on the feeder or simply if it is not in use. 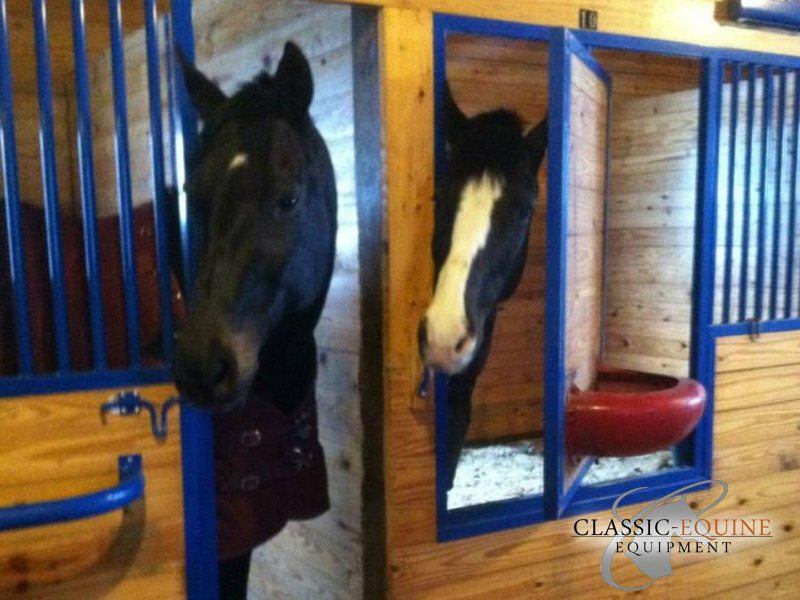 Classic's stout blanket bar was added to the stall doors for a simple and accessible way to store blankets. 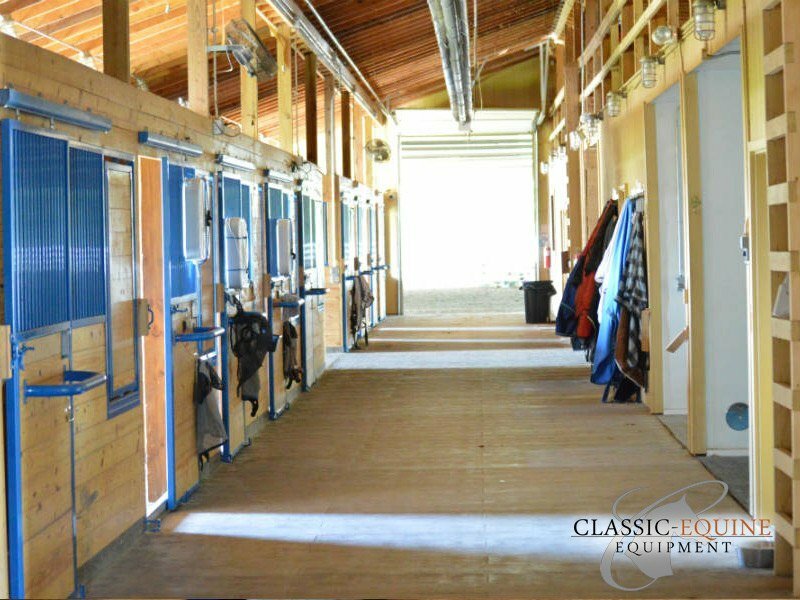 From the Customer: "Very pleased with the quality and durability of Classic Equine’s products, leaves a lasting impression with our staff and clientele, great customer service as well." Learn more about Bayside Equestrian Center, LLC!